13 April 1919 was a Sunday. It was also the first day of the new year in the Punjabi calendar. An unarmed crowd, mostly villagers from the outskirts, had come to the city of Amritsar. Their aim was to celebrate Baisakhi (Punjabi New Year). They had not been told that gatherings had been banned by the British colonial authorities. They assembled at Jallianwala Bagh, an open space surrounded by walls and buildings. An anti-colonial meeting was also being held there. Suddenly the crowd was fired upon by British colonial troops. The soldiers had initially fired in the air to disperse people but were ordered to shoot at point blank range by General Dyer, the commanding officer in charge of enforcing martial law. Dyer ordered the soldiers to shoot where the concentration of the crowd was most thick. The shooting continued for 10-15 minutes. By then all ammunition was exhausted. Upgraded versions of Enfield guns, which had sparked the Rising of 1857 among Indian soldiers and the wider population against colonial rule, were used. Bodies of Hindus, Muslims and Sikhs lay piled on top of each other. According to official estimates 379 people were killed. Unofficial accounts claimed at least 1000 people were mowed down. In his later statements, Dyer declared the purpose was to teach the Indian population a lesson in fear. He had successfully achieved this aim by pumping bullets into their rebellious hearts. In the annals of planned mass murder, the Jallianwala Bagh Massacre has become a metaphor for imperialist, racial and state violence. Undoubtedly, Amritsar was an act of calculated atrocity committed by the British colonial state in India. What was the immediate context of 13 April of 1919? The immediate backdrop was popular resistance against the Rowlatt Act, an emergency legislation which further expanded the police powers of the colonial state. The Sedition Committee (Rowlatt) Report of 1918 was composed at the police headquarters in Kolkata (Calcutta) by Justice Rowlatt. It was a policy document for repressive measures. Its intent was to deal with the post-war anti-colonial mass upsurge, influenced by the experiences of extreme hardship and repression during the preceding war years. The report was a classification of enemies of the state and advocated iron fist suppression. In early 1919, despite the opposition of non-official Indian members of the Imperial Legislative Council, the recommendations were given the status of law by the colonial state. Popularly known as the ‘Rowlatt Act’, the law was not just aimed at curbing political opponents of the state but also potential resistance of ordinary people simmering beneath the surface. Historians have pointed out that the roots of worldwide mass upsurge against imperialism in the post-First World War era could be found in the massive drain of colonial and semi-colonial resources by the most advanced capitalist states during the war. In India, the British colonial state had increased the defence expenditure by 300%. Semi-compulsory ‘war loans’ were imposed on the colonial economy. A sharp rise in taxes, food and cloth prices and a steep fall in the living standards visited the majority. The Rowlatt Act tried to perpetuate war-time restrictions on civil liberties through special courts and detentions without trial. It was also an attempt to appease official and non-official Europeans. They resented the Secretary of State for India’s limited liberal proposal of increasing upper-class Indian representation in colonial institutions through the grant of ‘dyarchy’. Imposition of extended police powers generated a storm of opposition. From the platform of the Indian National Congress, Gandhi called for a peaceful ‘hartal’ (strike) against the Rowlatt Act. The initial date of the strike was on 30 March. This was later changed to 6 April. The anti-Rowlatt movement had the effect of uncorking mass resistance from below. Its scale was such that even the nationalist leaders were surprised. The movement was mostly urban; lower middle class and working class people were in the front line of anti-colonial opposition. The cities most affected were those of Punjab: Lahore, Amritsar, Gujranwala and many smaller conurbations. Ahmedabad, Delhi and Kolkata were among the big cities where protest erupted. 13 April came on the heels of 48 hours of clashes between crowds and forces of repressive state apparatus in different cities as news spread of Gandhi’s arrest in Delhi. 12 people died in Delhi and 28 were killed in Ahmedabad in the course of the anti-Rowlatt movement. In Kolkata, on 12 April, the army and the police used machine-guns to kill 9 people in the socially mixed Harrison Road-Chitpur-Burra Bazar area; there had been strikes on 6 and 11 April, a joint Hindu-Muslim rally at the Nakhoda Mosque on 11 April and a significant feature of these demonstrations was the prominence of non-Bengali Hindus, Muslims and Marwaris-the non-Bengali diaspora residents of the cosmopolitan city who had engaged in rioting against one another only 6 months before. In Punjab, the colonial bureaucracy led by Lieutenant-Governor O’Dwyer had become extremely unpopular even before 1919. Military recruitment and monetary extortions, a climate of heightened political repression following the Ghadar led anti-colonial rising of 1915 and abusive speeches directed at the increasingly critical intelligentsia bred tremendous anger. O’ Dwyer and other British officials were terrified by the Hindu-Muslim-Sikh unity of early 1919 when wider concerns overcame narrower parochial practices at a specific conjuncture. 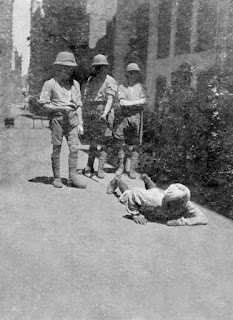 The strikes on 30 March and 6 April at Amritsar were non-violent but huge. On 10 April the police fired on unarmed demonstrators. After this, popular response to colonial authority became violent. There were attacks against institutional edifices of British colonialism. The crowd targeted Banks, post-offices, the railway station and the Town Hall. Martial Law was informally imposed on 11 April under the command of General Dyer. He was brought in at the request of Sir Michael O’Dwyer, Lieutenant-Governor of Punjab. Satyapal and Saifuddin Kitchlew, leaders of the peaceful anti-Rowlatt Satyagraha were arrested. On 13 April late afternoon, O’Dwyer wired the Viceroy urging formal imposition of Martial Law. Meanwhile, General Dyer was allowing the crowds to gather in the enclosed ground of Jallianwala Bagh. He was a man with a mission. In the weeks following the massacre, Dyer lived up to his reputation as the ‘Butcher of Amritsar’. Indiscriminate arrests, custodial torture, special tribunals, public flogging, forcing the ‘natives’ to ‘salaam’ sahibs became routine measures. Residents were made to crawl down a lane where a white missionary woman had been assaulted. Those arrested during the following days were subjected to custodial torture. Golam Jilani was beaten, raped and forced to give false statements against organisers of the anti-Rowlatt movement who advocated peaceful protests. British administrators also recommended imposing fines on towns such as Amritsar. They felt even the rich Indians, on whom they normally relied, had done nothing to restrain the ‘rabble’, the lower class Indians who made up the insurrectionary crowds. Five Punjab districts registered widespread anti-Rowlatt protests. On the morning of 13 April, the colonial authorities had requisitioned bomber planes and machine guns; they had donned the full regalia of total war. On 14 April, Gujranwala and the surrounding villages were subjected to British aerial bombing. This was accompanied by 258 cases of flogging by martial law tribunals, corporal punishments like rubbing noses on the ground, making the entire population stand under the blazing sun and charging children with waging war of sedition against the King-Emperor. Only 4 Europeans were killed while Indian casualties at least amounted to 1200 dead. 3600 people were wounded. The scale of repression made it impossible to organise mass protests against these incidents. The government initially suppressed the news of the massacre and other atrocities; it tried to isolate Punjab from the rest of India. The news spread slowly. Rabindranath Tagore voiced the mood of agony and anger through a famous letter addressed to Lord Chelmsford, the Viceroy, renouncing his Knighthood (31 May 1919).A short excerpt: ‘Considering that such treatment has been meted out to a population, disarmed and resource-less, by a power which has the most terribly efficient organisation for destruction of human lives, we must strongly assert that it can claim no political expediency, far less moral justification.’ In the perception of some of the contemporary observers, the response of the congress leadership during 1919 to the massacre was weak and disappointing. According to Muzaffar Ahmad, a writer living in Kolkata who became an early communist, the Congress leadership was initially hesitant as they were still negotiating with the colonial government over the proposed constitutional reforms. A proposal to honor Rabindranath at the annual INC session was not allowed to be raised. Though the session was symbolically held at Amritsar, the Congress leadership was not keen to focus on the suffering of the people. By contrast, he noted, that ordinary people were furious with the brutality of the British administration. When the arrested leaders of the anti-Rowlatt agitation from Punjab were released and visited Bengal, the crowd in Kolkata held a mammoth rally to greet them. The popular response was palpable in police reports. They referred to group meetings in Kolkata slums, especially the ones with large concentrations of Muslim workers where unknown activists explained the Jallianwala Bagh incident to the people. Punjabis had been murdered in Bengal before. Immediately after the massacre of the Punjabi Sikh passengers of Komagata Maru at Budge Budge in 1914, popular indictment of government action had circulated via ‘malicious rumours’. The rumours claimed British soldiers at Budge Budge had killed several Sikh women and children and their bodies had been thrown into the river. Beyond Kolkata, rumours in the mining town of Raniganj claimed that Sikh troops had refused to fight in France. When they returned, they had been set upon and killed by the British authorities. The memory of this previous massacre was to haunt the colonisers. On 10 February 1919, Amar Nath Sharma, a Punjabi Hindu auctioneer who operated from Kolkata during 1914, wrote to the Chief Secretary of Bengal from Lahore. He was pleading for an acknowledgement letter from the colonial government for‘services’rendered in connection with ‘the Budge Budge Riot Affair’. Sharma claimed at the behest of the government he had penned resolutions supporting the state’s violent action at a Punjabi gathering in Kolkata. The aim of the meeting, as desired by the colonial authorities, was ‘to pacify the feeling of the Sikhs and other Hindu Public of the Punjab.’ He boasted of having received a silver watch and a ‘gold’ certificate from the Punjab C.I.D for his continued assistance to the police. In late April 1919, after the Amritsar Massacre, the Chief Secretary, hastily issued a brief letter officially recognising Sharma’s help on behalf of the Bengal Government. It is unsurprising therefore that the Jallianwala Bagh Massacre would find an echo among ordinary people in the region. Yet the Empire’s willing executioners were in plain view. As structural components of the colonial regime, they went unpunished by the British state. The chief executioner, Reginald Dyer (1864-1940) was born and raised in India and later schooled in Britain. He came from a family of colonial settlers. This segment regarded racial superiority as ‘natural’, white people as born rulers with the colonial subjects as slaves who existed to carry out their orders; occasionally paternalistic concern could be extended if they proved to be obedient and useful. The ‘master-slave dialectic’ at work had a class dimension since the boundaries between the ‘ruling race’ and the ‘ruling class’ overlapped in a colonised society. Racism and segregation were entrenched in the institutions and social relations; Dyer had been exposed to this training since childhood. Race, class and gendered identities had converged to create him. A letter to his son written in the early twentieth century, revealed his commitment to inculcate ‘manly’ virtues in the boy. Imperial masculinity could easily incorporate and project aggression as normal when unleashed on behalf of the overlords. From the ranks of the colonisers generations of ultra-authoritarian men had emerged; they were psychologically conditioned to plunge into grisly depths of genocide to uphold imperialism. The personnel of the colonial repressive state apparatus were professionally trained to kill: Dyer had served in counter-insurgency campaigns against rebels in Burma and North West Frontier during the late nineteenth and early twentieth centuries. He was called in to deal with the anti-Rowlatt movement in Punjab precisely because he was a man of experience. Dyer later stressed ‘the act’ he ‘was called upon to perform filled’ him ‘with horror’. Yet it was undertaken ‘with a view to saving the military situation and the women and children’ and ‘saving life generally. No hesitating and half-hearted measures would, under the circumstances, have served the purpose.’ Needless to say, by ‘women and children’ he meant those belonging to the white ruling community and by ‘life’ he meant white people. The race lines were drawn from the beginning. The ‘natives’, from such a viewpoint could easily become an amorphous body of mutineers who did not deserve to exist. The colonial officers who gave orders to shoot and kill protesters in Delhi, Ahmedabad or Kolkata during the Anti-Rowlatt clashes were no different. If the British Empire was threatened, coercion became an open race war. Many British politicians, historians and biographers sympathetic to imperialism have been at pains to point out Dyer was an exception; he had deliberately ordered the killing of a crowd comprised of men and women, elderly people and adolescents, children and babies knowing they were ‘unarmed’. Encumbered by the white man’s burden of guilt, these critics have reduced the massacre as an individual or ‘factional’ deed. They have refused to admit that the massacre at Amritsar was the culmination of white supremacist convictions built into the edifice of the British Raj. It was not an anomaly. When (white) colonial authority was challenged from below, the entire bureaucratic establishment closed ranks. When Dyer ordered the troops to shoot at the crowd in Jallianwala Bagh, he was upholding the pride of the ‘white race’. This was made clear by the words of self-justification from Sir Michael O’Dwyer, Lt-Governor of Punjab who had always favoured ‘military force’ and praised Dyer’s actions to the skies for suppressing the Punjab rebellion. In his reminiscences O’Dwyer described Dyer as a ‘blunt, honest soldier’ whose honor needed to be vindicated. Dyer was removed from India and held personally responsible for the massacre by the British government which was facing mass opposition from India to Ireland to semi-colonial and newly acquired colonies in the post-war years. Hastily sidelined as an embarrassment and liability by the state, Dyer was hailed as a hero in wider white society. In the European public sphere in India and England, in the press and in conversations he was presented as a protector of white women and British colonialism in India. A huge fund was raised by the European community to compensate him for his alleged ‘victimisation’ by the British establishment. Though his promotion was revoked, he retired with a pension. When he died, the Union Jack was ceremoniously draped over his coffin. 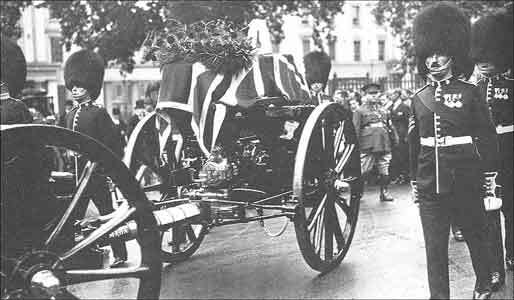 An official military funeral was organised with the usual pomp and circumstance; his funeral cortege passed respectful bystanders, British journalists and the iron statue of General Havelock at Trafalgar Square; the 19th century military figure was Dyer’s role model having killed thousands during the Rising of 1857-58 in the same colony with utmost ferocity. Sir Michael O'Dwyer (1864 – 1940) who served as Lieutenant-Governor of Punjab from 1912 until 1919 and fully endorsed Dyer’s actions was assassinated by Udham Singh (1899-1940), a Punjabi revolutionary living in London. During his trial, Singh felt O’Dwyer ‘deserved it.’ In prison, he became Ram Mohammad Singh Azad, thereby paying homage to the victims belonging to the major religions in Punjab. Udham Singh was hanged. The memory of Amritsar found echoes in later contexts. This was apparent in the 1940s, during the last days of colonial rule in Bengal, the second largest colonial territory captured by the British merchant capitalists after Ireland. Salil Chaudhuri’s ‘song of mass protest’(‘Bicharpati tomar bichar korbe jara /Your Lordship, the people will hold your trial now) depicted brutalised people rising from the ‘bloodbath’ of Jallianwala Bagh to put imperialism on the dock. Comparisons were drawn during other episodes of state violence. Even the Congress government in post-Partition, post-Independence West Bengal was haunted by its spectre. It had refused the right to food as hunger rose sharply among the poor and the indigent. Protests culminated in the Food movement of 1959. 80 unarmed protesters were killed after the police cordoned and attacked them within an enclosed area in the city centre of Kolkata on 31 August; the irony of the moment was not lost on the contemporaries as the space and intent of the action bore the rubber-stamp of colonial practices. The left organisers referred to Jallianwala Bagh. The late imperialist state in Britain also faced the same charge in Ireland, its oldest colony. After the Bloody Sunday Massacre in Northern Ireland on 30 January 1972, those demanding justice for the peaceful victims killed by the British soldiers at Derry claimed that this was an Irish ‘Amritsar’. As late imperialist states and their clients resort to worldwide violence and their nameless, unarmed victims multiply by millions, the centenary of Jallianwala Bagh refuses to put the past to rest. Suchetana Chattopadhyay teaches history at Jadavpur University, Kolkata. Helen Fein, Imperial crime and punishment: the massacre at Jallianwala Bagh and British judgment, 1919-1920 (1977). Sumit Sarkar, Modern India 1885-1947 (1983). Derek Sayer, British Reaction to the Amritsar Massacre 1919–1920, Past & Present, Volume 131, Issue 1 (May 1991). Suranjan Das, ‘Kolkata in Turmoil: April 1919’, Bengal Past and Present, Vol. 112, Parts 1-2, Nos. 214-215 (1993). Bhisham Sahani, Jallianwala Bagh (1994). Muzaffar Ahmad, Samakaler Katha (1996). K. L. Tuteja, Jallianwala Bagh: A Critical Juncture in the Indian National Movement, Social Scientist, Vol. 25, No.1-2 (Jan. – Feb.1997). Nigel Collett, The Butcher of Amritsar: General Reginald Dyer (2005). Michael O’ Dwyer, India As I Knew It (2004). Robert McLain, Gender and Violence in British India: The Road to Amritsar 1914-1919 (2014). Suchetana Chattopadhyay, Voices of Komagata Maru: Imperial Surveillance and Workers from Punjab in Bengal (2018). 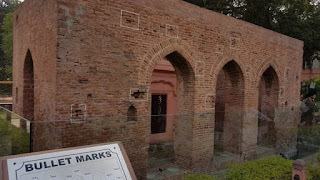 Kim A. Wagner, Jallianwala Bagh: An Empire of Fear and the Making of the Amritsar Massacre (2019).